With the announcement of the Barnes & Noble Nook Tablet a whole new set of specs has arrived for the Nook line. Jump on pat the break to get a look at the full list of features and key specifications. Display: World’s most advanced 7-inch VividView™ Color Touchscreen 16 million+ colors, high resolution IPS display – 1024x600, 169 PPI Fully laminated with no air gaps for remarkable clarity and minimal glare – read indoors or outside. Browser - Over Wi-Fi, enjoy enhanced Web browsing experience to access even more content. 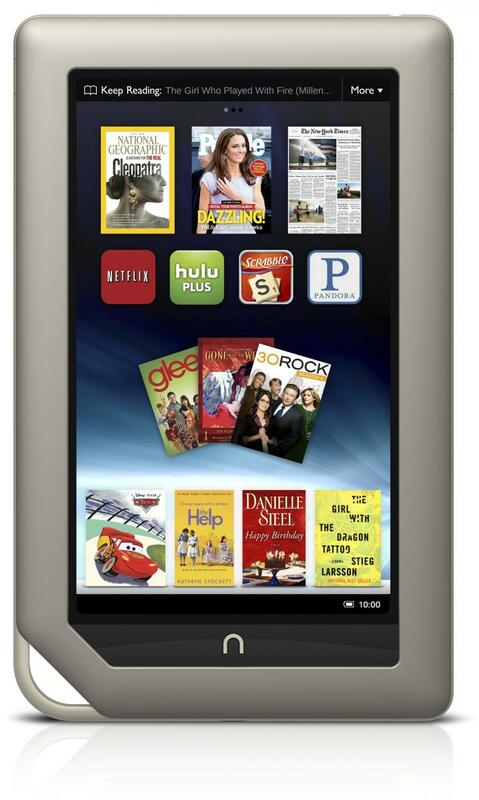 NOOK Tablet supports Adobe® Flash® Player. Read NOOK Books™ seamlessly across your NOOK® devices, smartphone, computer or other mobile device, with FREE NOOK Reading App™ software. These include iPad™, iPhone®, iPod touch®, Android™ devices, Mac® computers and Windows-based PCs, laptops or netbooks. NOOK Tablet syncs last page read, highlights, notes and bookmarks. For more information on free NOOK software, please visit www.nook.com/freenookapps.